Shervin is a devoted, influential philanthropist who donates money, time and leadership to numerous global and local charities. 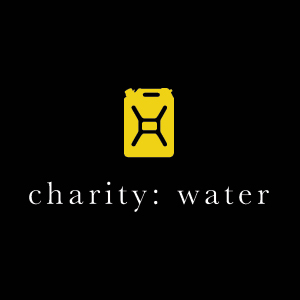 charity: water is the foremost fundraising venture for building wells and supplying clean water to impoverished people all over the world. It is one of Shervin’s most cherished charities, and as a devoted champion of the organization, he has travelled to Africa and seen with his own eyes how devastating it is to live without clean water. On his 38th birthday, Shervin asked people not to give him gifts, but donate money to the charity to help develop more freshwater projects in Ethiopia and other countries. Through his tireless birthday campaign, he was able to raise $43,000 — more than $5000 more than he asked for. Shervin was an advisor for the Malala Fund and has hosted fundraisers for the non-profit organization fighting for quality education for females worldwide. 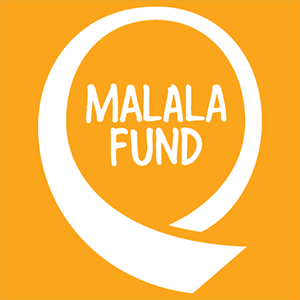 Malala Fund works in regions where the most girls miss out on secondary education. Its priority countries are Afghanistan, Brazil, India, Lebanon, Nigeria, Pakistan and Turkey. Shervin is a champion of the organization that promotes the rights and wellbeing of children around the globe. With its partners, UNICEF works in 190 countries and territories to translate this commitment into practical action, focusing special effort on reaching the most vulnerable and excluded children, to the benefit of all children, everywhere. As part of his devotion to global good, Shervin launched 1% of Nothing, an innovative project that encouraged entrepreneurs to donate 1% of their equity to charities. Flipping the idea that startups and businesses should care for themselves before they care for the needy, Shervin partnered with Matt Galligan to promote the practice, with Galligan himself donating 1% of Socialthing, his company, to the Community Foundation of Boulder. 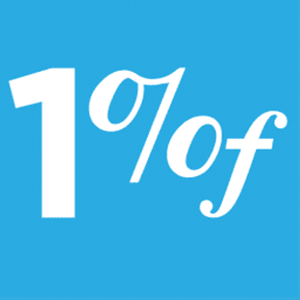 The thought process for 1% was that a small amount of equity could lead to vast, global change. 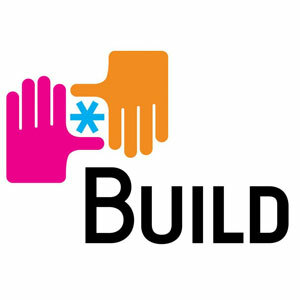 Shervin is also a strong supporter of Build. Build is dedicated to proving the power of experiential learning through entrepreneurship and igniting the potential of youth in under-resourced communities. Their aim is to enhance the education of students by leveraging their expertise in entrepreneurship and experiential learning to decrease drop-out rates and increase student engagement and learning, leading more students to finish high school prepared for future success. Shervin launched the Cyrus Prize to celebrate and inspire Iranian culture and entrepreneurship. The $100K grant is awarded to Iranian-born innovators who embody the unique traits and talents of the region. 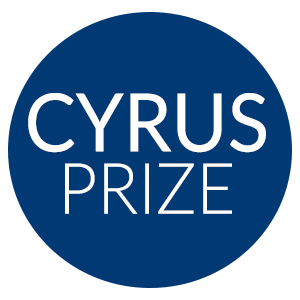 The first Cyrus Prize was awarded to Dropbox co-founder Arash Ferdowsi. 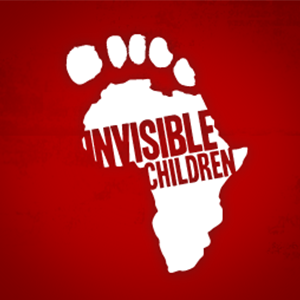 Invisible Children is a global organization that protects children in war-torn countries. The primary goal of the charity was to end the long, devastating war in Africa, an ongoing conflict run by Joseph Kony and his infamous Lord’s Resistance army. Since its inception, the organization’s goals have broadened, and the mission is now to keep children and families safe and secure in countries throughout Africa. As part of Invisible Children’s mission, Shervin travelled to Libya, went to Egypt with Sean Penn, and served as a leading voice in Silicon Valley supporting justice for the young. He held a popular talk during The Fourth Estate, an Invisible Children conference. As a celebrated immigrant and successful investor, Shervin has worked with President Barack Obama in a number of planning and advisory roles. Alongside other thought leaders and entrepreneurs, Shervin was essential in developing then-candidate Obama’s groundbreaking 2008 Technology and Innovation Agenda. The ambitious plan focused on building connections between individuals, as well as the government, with the goal of using technology to improve health care, education, and national security. Appointed to this deeply influential board by President Obama in 2015, Shervin played a key role in supervising the global Fulbright Program. As a board member, Shervin helped choose students, teachers, scholars and other educators to participate in the prestigious Fulbright exchange program. With the goal of creating a free-flowing exchange of ideas on a global level, participants traveled to other countries — or were brought to the United states — to attend college, promote peace, and share cultural experiences. With a limited number of slots available, Shervin helped select grantees who illustrated academic, professional or artistic excellence, and a strong willingness to explore diversity. With an extraordinary understanding of the immigrant entrepreneur experience, Shervin was a high-profile champion of the 2011 Startup Visa Act. This proposed amendment to United States immigration law promoted a two-year visa for foreign entrepreneurs who successfully raised capital from specific, qualified U.S. investors. The ultimate goal was to attract skilled, successful immigrants to the United States, so they could share knowledge, new ideas, and boost the local economy by creating jobs. Although the amendment never became law, Shervin helped develop the proposed program’s website, and lobbied heavily for the program. Though it was never adopted in the United States, many governments around the world explored and implemented their own variations on the program. On this strategic advisory council, Shervin offered unparalleled leadership in solving some of the world’s most pressing problems. Created in 2011, the council was designed to foster public/private partnerships, reach new audiences, and use enterpreneurism to generate new ideas to tackle humanitarian challenges. With just 10 people on the council at any one time, Shervin was able to leverage his significant experience as an investor and entrepreneur to offer valuable feedback and problem-solving skills to United Nations representatives and other global agencies.